The National Art Education Association (NAEA) and the Association of Art Museum Directors (AAMD) will host a one-day symposium in Detroit, MI on October 13 exploring the impact of single-visit art museum visits on school children. 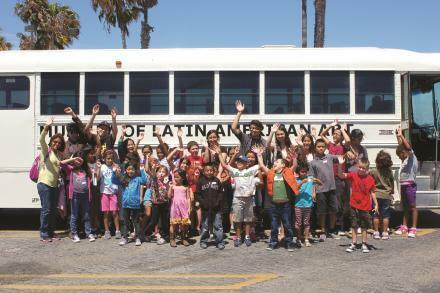 Image: The Museum of Latin American Art in Long Beach, CA purchased a school bus in order to expand access to field trips. Learn more in the story on AAMD’s website and 89.3 KPCC. Image courtesy of the Museum of Latin American Art.